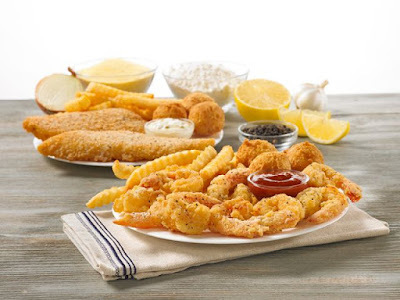 Church's Chicken trots out new Lemon-Seasoned Butterfly Shrimp and Crispy Fish as their seasonal Lent-friendly options this year. The two dishes features marinated shrimp or flaky white fish filets, crispy-fried and finished with a zesty lemon herb seasoning. Also new are limited-time Hush Puppy Biscuit Bites, which are hush puppies made from Church's biscuit dough. Both seafood options and Biscuit Bites are available for a limited time at participating Church's restaurants, while supplies last.